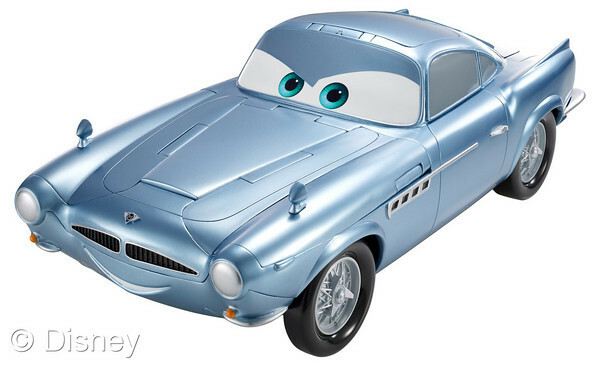 Last week, Disney unveiled their new Cars 2 toy line at the American International Toy Fair in New York City. Disney will release over 300 items in 2011, ranging from die-cast cars to track sets to RC vehicles to games from manufacturers that include Mattel, LEGO and Hasbro. Lightning McQueen Alive will be released this fall. Ridemakerz lets you totally customize your Cars 2 vehicle by choosing from multiple body designs, wheels, accessories and decals. Bodies and chassis start at $12.99 with accessories starting at $2.99. Available now at Toys 'R' Us and the Disney Store. Secret Agent Finn McMissile comes fully-equipped with "'top secret' spy weapons, projectile missiles, sound effects, and thrilling transformations." He'll sell for $29.99 and will be available at mass retailers in May. Take a trip back to Radiator Springs and build your own Flo's V8 Cafe in LEGO. 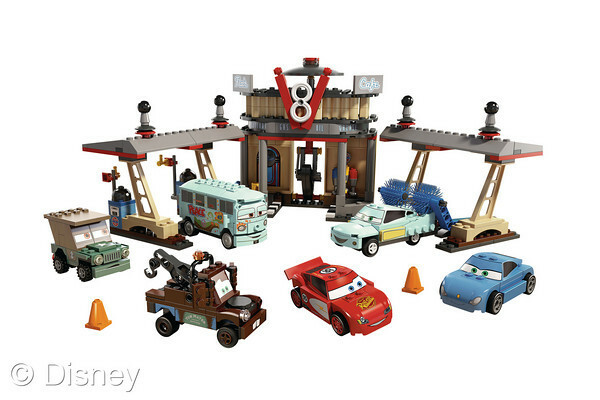 The set includes Lightning McQueen, Mater, Sally, Sarge, Fillmore and Flo. Available in May for $59.99. 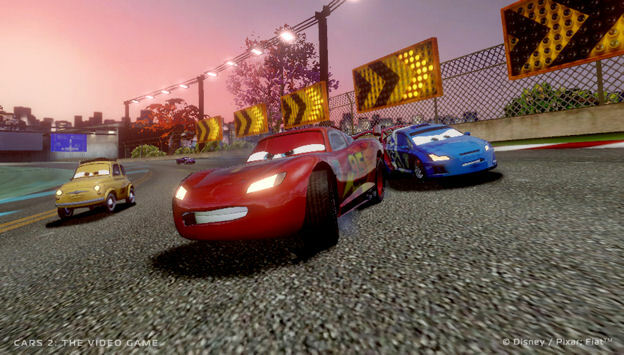 Train to become a master spy for CHROME (Command Headquarters for Recon Operations and Motorized Espionage) in Cars 2: The Video Game. Players of all ages and skill levels can choose from over 20 characters to train, race and accompany on hazardous spy missions. Available this summer on Xbox 360, Wii, PS3, Nintendo DS and PC/MAC platforms. 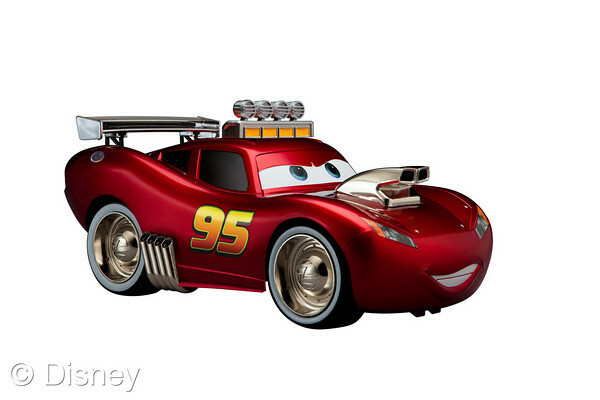 Cars 2 will be in theaters on June 24.